My parents had a Christmas drinks party last night and so I was the dutiful daughter and handed around cheesy nibbles, smiled a lot and told people what Unis I had applied to etc. I dressed up a bit, and since I realised I haven't done an outfit post in yonks for guys this is what I wore. 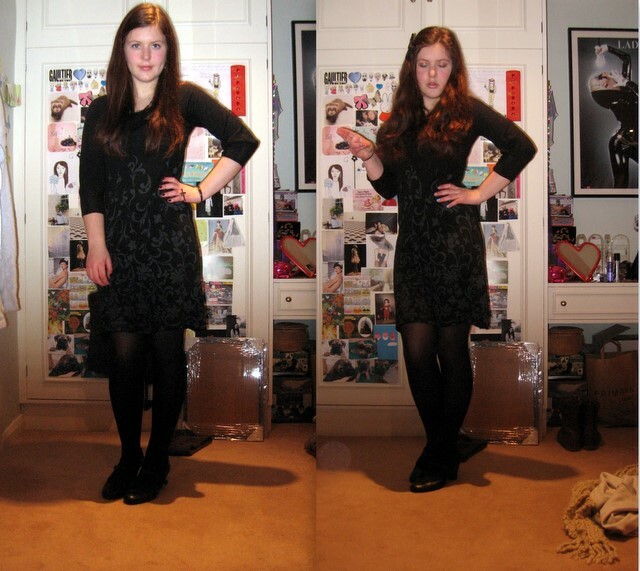 Took outfit photos before and after doing my hair,can't decide whether I prefer my hair straightened or curly! 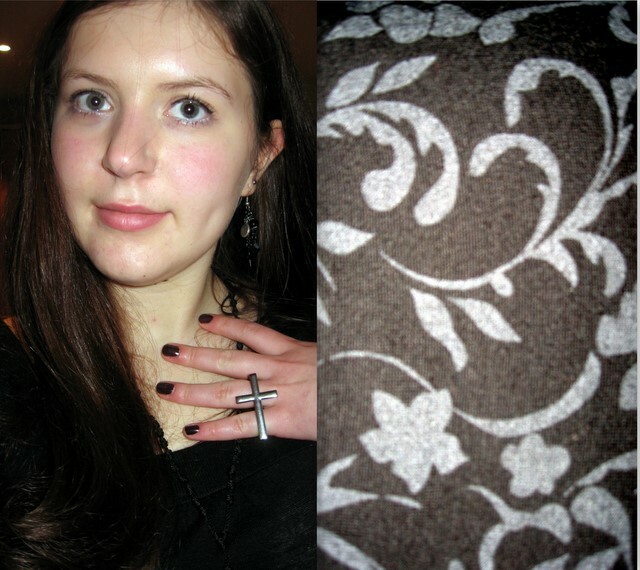 My Granny dissapproved of my gothic Jewellery because she thinks wearing crosses for fashion is slightly blasphemous (even though I am technically Christian as I am confirmed into the Church of England, these days I consider myself an agnostic theist), and I know a lot of bloggers have the Asos cross ring, do you think its blasphemous or inappropriate to wear religious symbols (crosses especially) for fashion whether you are or aren't religious? 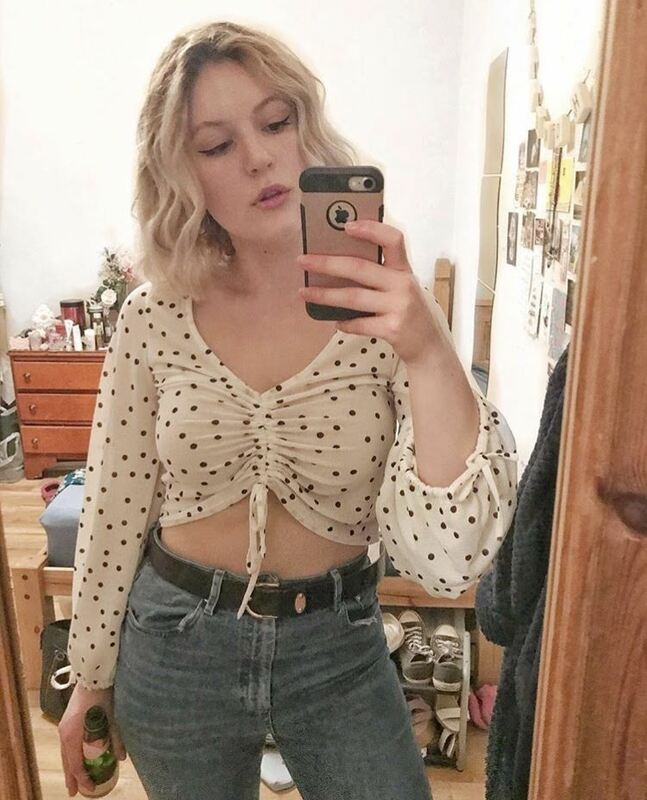 Lovely outfit! Personally I'm not religious but am happy to wear crosses. I can understand why some people may be offended though! im going to follow you.